A national car parts distributor has introduced depot fuelling to help reduce costs and improve the management of its growing distribution transport fleet. 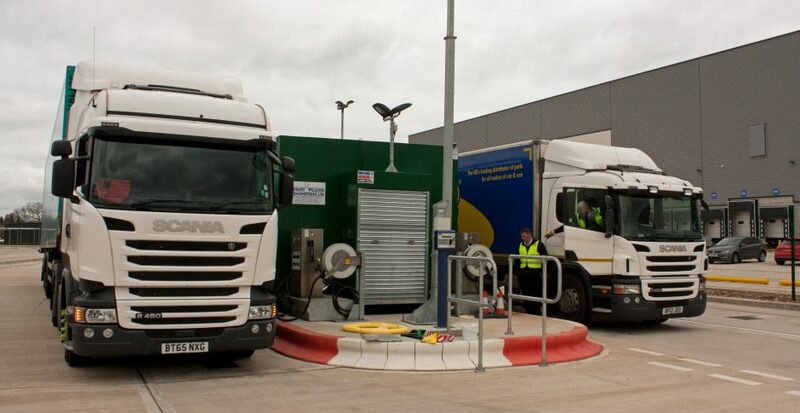 A diesel fuelling point has been installed as part of the company’s investment in its new National Distribution Centre in the East Midlands. Supplied by Ledbury Welding and Engineering (LWE), the facilities include a multi-compartment storage tank with capacity for 127,000 litres of diesel. Additional compartments are used for AdBlue and gas oil used by the depot’s trailer shunter vehicles. Ledbury Welding secured the contract following a competitive tender process. LWE then worked with the client to finalise the end design to meet the operational requirements. Tank capacities were selected and details, such as retractable hose reels were specified to allow dual side fuelling. The installation includes a fuel management unit to validate all dispensing transactions. Details of fuel drawn are recorded automatically and the data is used for a statistical analysis of each vehicle’s fuel consumption. Any anomalies will be highlighted so that issues, for instance, a possible service requirement, can be dealt with promptly. The main benefit of a depot fuelling point is having direct control over this important resource. Drivers are asked to replenish all fluid levels at the end of every shift. This rule ensures consistency of fuel tank levels for the weekly fuel usage reports. 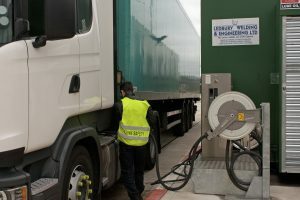 For the fleet operator, fuelling is an important activity, which can be managed more efficiently in-house rather than out-sourced, to multiple different bunker fuel locations. The operator can also implement safe working practice, since fuel is being obtained from a single location.